Chicago jewelry designer Dana Gordon’s timeless pieces have increasingly gained distinction among celebrities and powerful, strong women from all walks of life. With brand visibility steadily growing, Dana Rebecca Designs’ legacy inventory systems were becoming a hindrance. 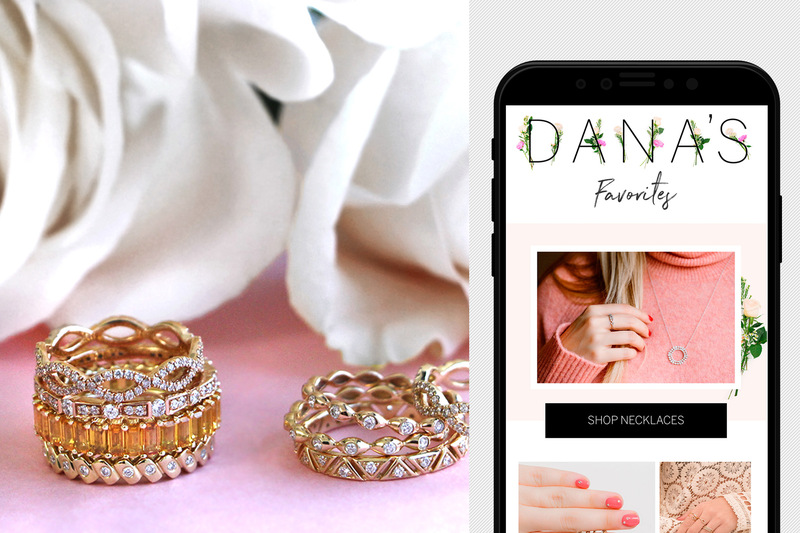 As we’d previously provided them with a messaging platform and brand strategy that were true extensions of Dana herself, she turned to envisionit to help her growing brand migrate to a centralized inventory and ecommerce system that has already drastically improved their operational efficiency and growth. 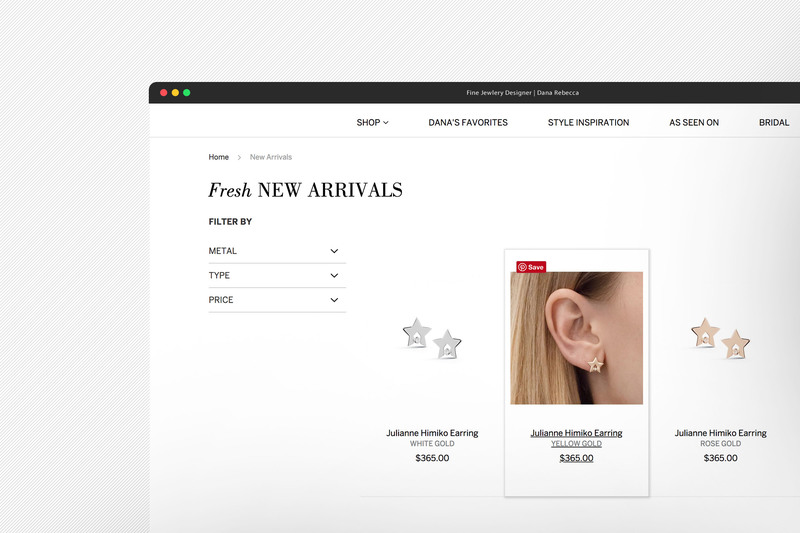 Dana Rebecca Designs needed a business management solution that could act as the central hub for inventory and the POS system for its boutiques. And it needed to make back-of-house operations more efficient — while communicating in real-time with their ecommerce platform. With extensive technology changes, UX updates, and a switch from HTTP to HTTPS you’re at risk for disrupting SEO performance and user behavior flows. 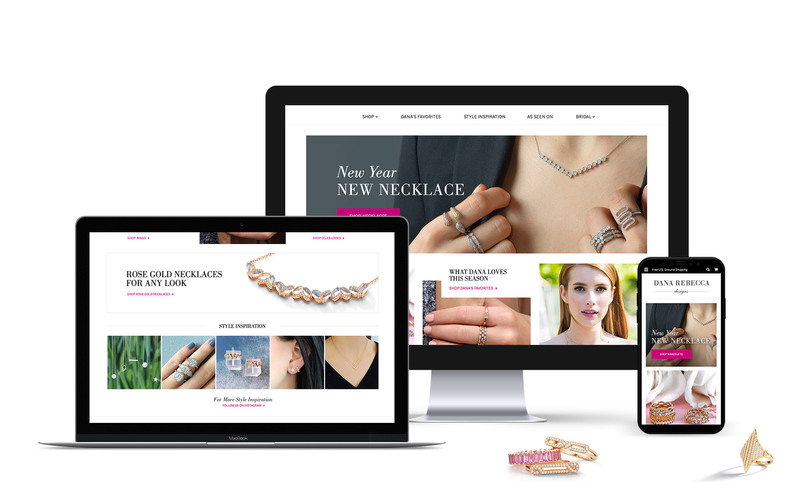 But Dana Rebecca needed an enterprise platform to keep up with the high volume of sales and traffic of the website, and a way to tie it all together. Our recommendation? A winning combination of UX and SEO updates and migration to Netsuite, Magento Enterprise 2.1, and Netsuite Connector. After we migrated all necessary data, product info, and assets, we then streamlined the order fulfillment and inventory workflow. Next came a new hosting solution and a new payment gateway. This happened with the expert coordination of multiple platform partners — no easy task. On the storefront side, we examined analytics and heatmaps to lend insights toward rebuilding the website architecture and taxonomy setup. SEO guidance and redirect strategies were updated, as were content and product setup guidelines. We revamped two drastically different fronts: operations management and the online storefront experience. All efforts, both front and backend, were driven by SEO, analytics, and UX recommendations. Business management, inventory, POS, and ecommerce systems sync in real time, and the platform effectively supports future sales, marketing, and promotional activities. The storefront experience is intuitive, clean, and represented Dana Rebecca Designs’ well-loved brand. Usability significantly improved, driving deeper engagement and offering a better search experience. The new site was designed with ease in mind. 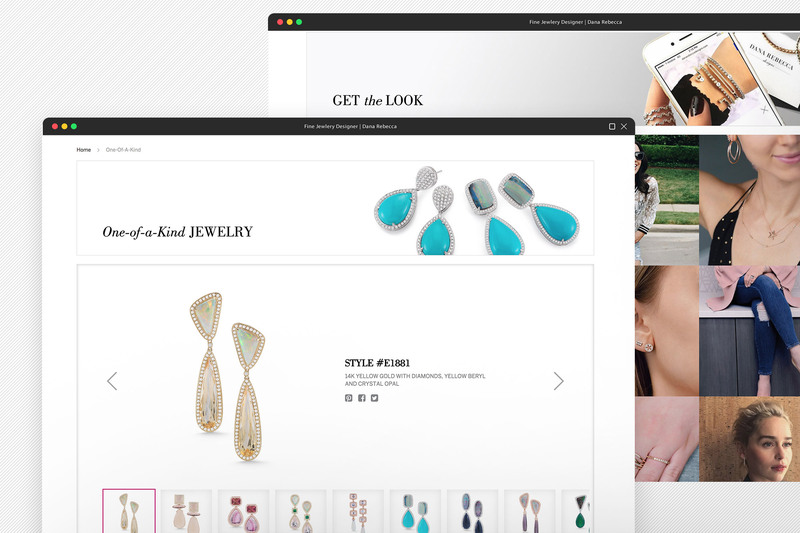 It’s now much easier for Dana Rebecca Designs to maintain content and products. Dana Rebecca Designs needed total integration. And business operations, workflows, and point of sale technology finally work together seamlessly.